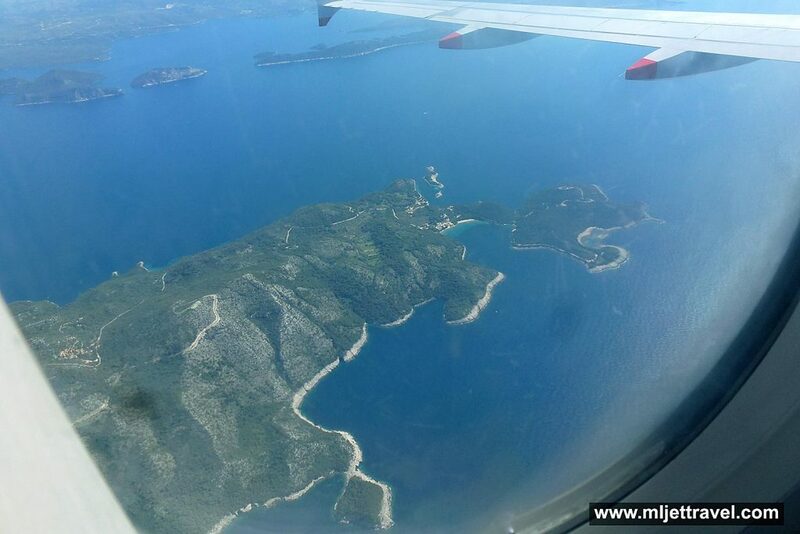 Last summer (June) I was flying to Dubrovnik airport and for few minutes we were passing over Mljet when I took these three photos from my air-plane seat. The day was very clear and bright and my air plane windows were not to scratched so photos are pretty good. 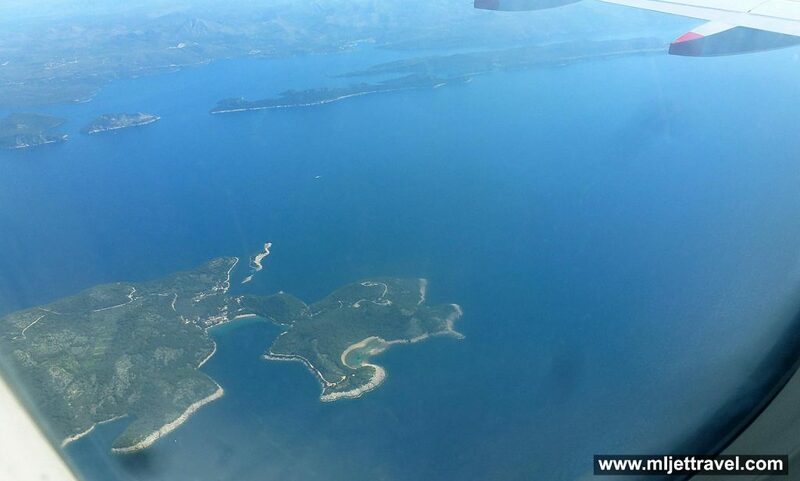 This part of the island is the eastern edge where Saplunara bay and beach as well as Blaca (Limuni) is located. 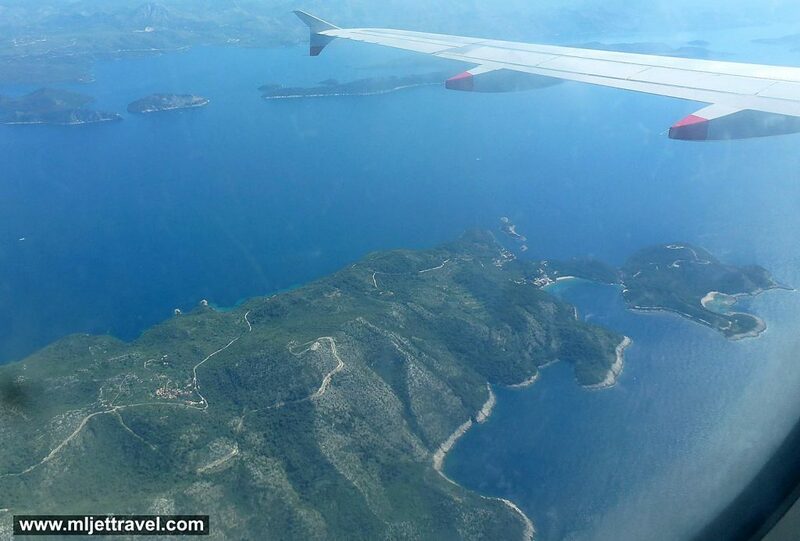 Further away you can see Elafiti islands and bit of the mainland.